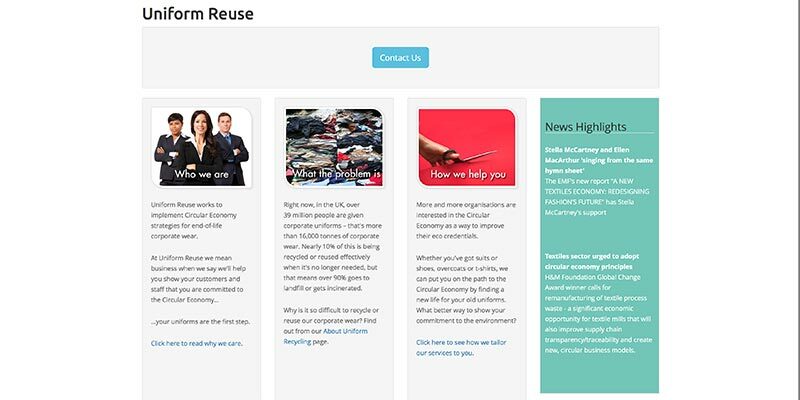 The Uniform Reuse website from the CRR is a resource to educate and create awareness of the opportunities which exist to reuse and recycle corporate-wear and therefore reduce the amount sent to landfill each year. Around 1.5 – 2 million tonnes of clothing and textiles waste are discarded every year in the UK. This latest development of earlier websites includes research papers, case studies, fabrics database, real-time graphs and several intercative features. 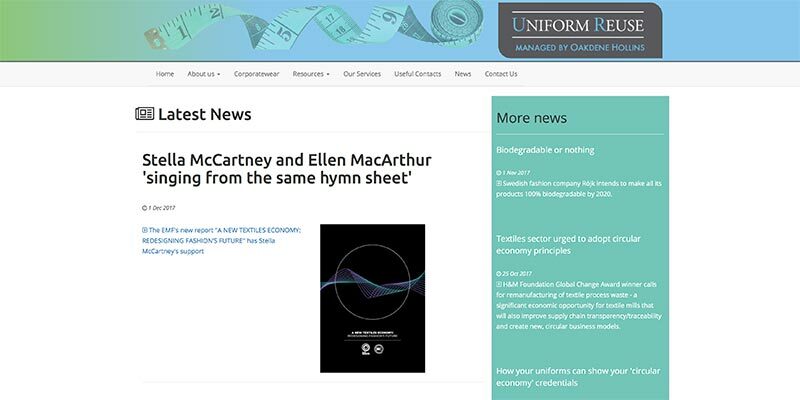 This is one of several websites for which we've been the designers, working with Oakdene Hollins of Aylesbury, Buckinghamshire. 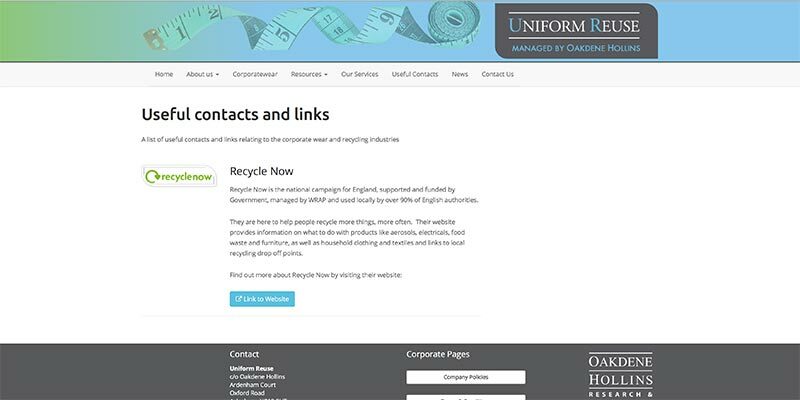 This site specialises in the reuse and remanufacturing of workwear and uniforms. The design uses elements from other Oakdene sites to maintain an underlying link between them, but is a clean, contemporary website design using a clean design and drawn graphics. The site runs on PHP middleware system and is linked to a MySQL online database. 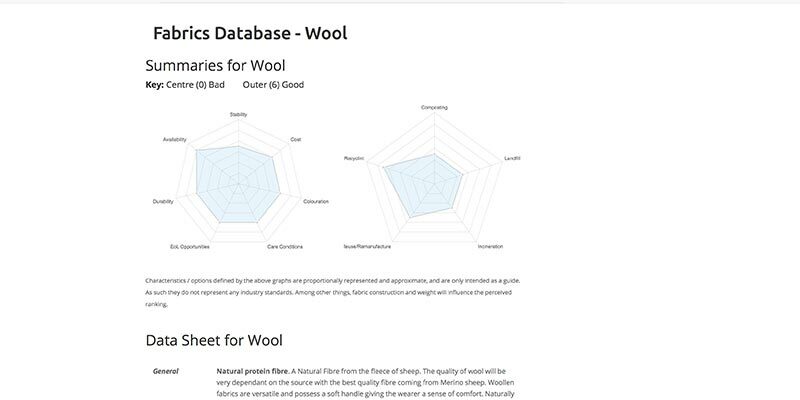 There's a very useful fabrics database on the site that discusses the sustainability and resource requirements of many common and unusual fabrics. We also created a number of PDF reports in the same style that give case studies in more detail than the web-site.